Written by Dr. Rishu and medically reviewed by iCliniq medical review team. 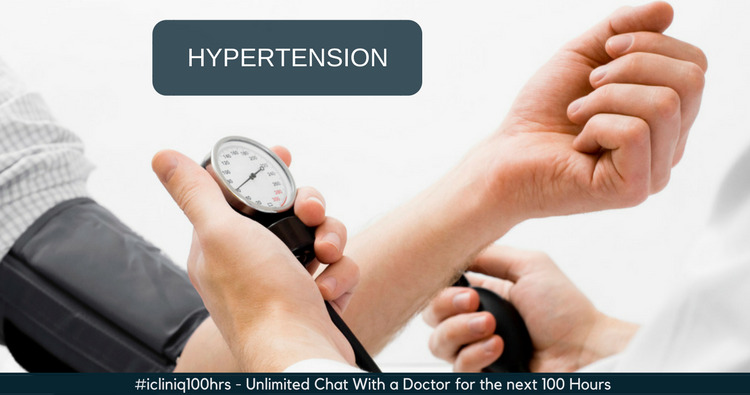 Non-pharmacological management of hypertension is indicated in individuals who are prehypertensive. Prehypertension is systolic blood pressure between 120 to 139 mmHg and diastolic blood pressure between 80 to 89 mmHg. These patients should be tried with lifestyle modification for at least three months before starting medications. Great importance is being given to lifestyle modifications, because of definite benefits observed in patients who follow this. Lifestyle changes have advantages not only in the control of hypertension, but also in the management of dyslipidemia and diabetes. While the major effects of tobacco are in the development of atherosclerotic heart disease, its role in the management of hypertension cannot be forgotten. The pressure effect of tobacco is so strong that the blood pressure comes down immediately after stoppage of smoking. Tobacco is one of the agents that induce clustering of risk factors. Lowering of excess body weight can lower blood pressure. In one of the studies, it was found that a decrease of 1 kg of body weight is associated with an average fall of 1.6 mmHg. Indeed, in many instances, it would be possible to discontinue medications after effective weight control. Restriction of dietary sodium is one of the most useful methods of controlling hypertension. This fact should be emphasized, because of the increasing use of fast foods, which have high salt content. It has to be admitted that this cannot be achieved easily. Norman Kaplan, a renowned cardiologist, gives the following practical suggestions. Do not add salt during cooking or at the table. Sodium consumption should be less than 1500 mg per day, an average individual consumes 8 to 10 times more sodium than required. If salt is desired, add half sodium and half potassium chloride preparations. Be careful about the sodium content of some medications and specifically read the labels indicating sodium content in your food. Alcohol consumption of more than 30 mL of ethanol is found to increase blood pressure. Hence, moderation is recommended. One of the major hazards of drinking is the usual associated consumption of high salt savories, which are an unseen source of salt. Instead, use less salted food. Regular physical exercise has been found to induce a reduction in blood pressure. Strenuous exercise should be done 45 minutes a day for at least six days a week. There have been various reports as to the efficacy of yoga, transcendental meditation, etc., but none of these were accepted on the basis of statistical studies. However, it is widely accepted that relaxation techniques along with other reduction in risk factors do definitely decrease the incidence of cardiovascular complications. Do you have a question on Reduce Weight or Hypertension?